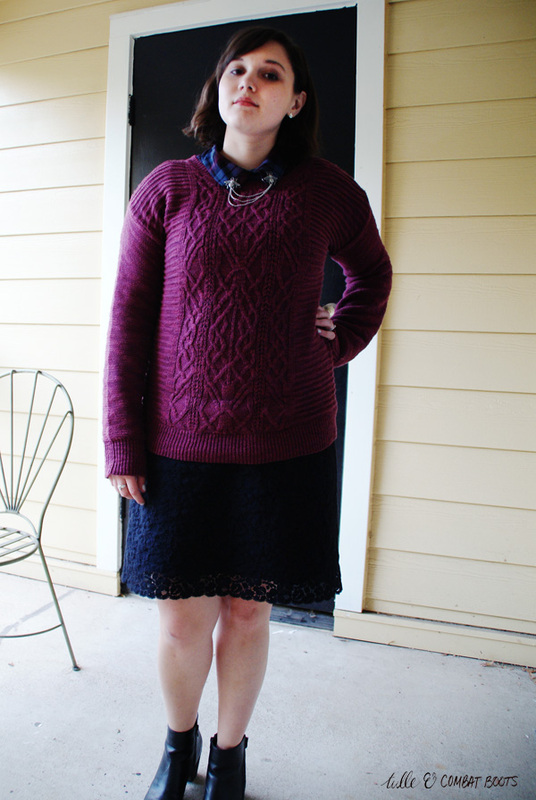 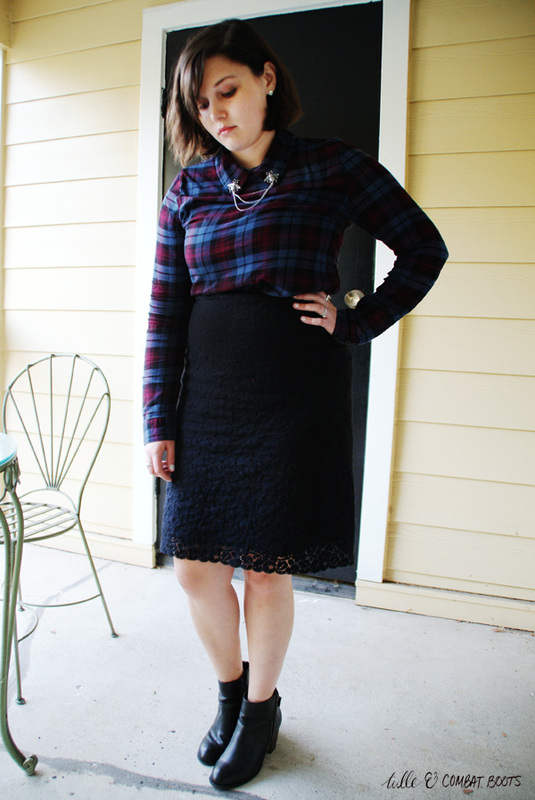 Tulle & Combat Boots: sweater weather. 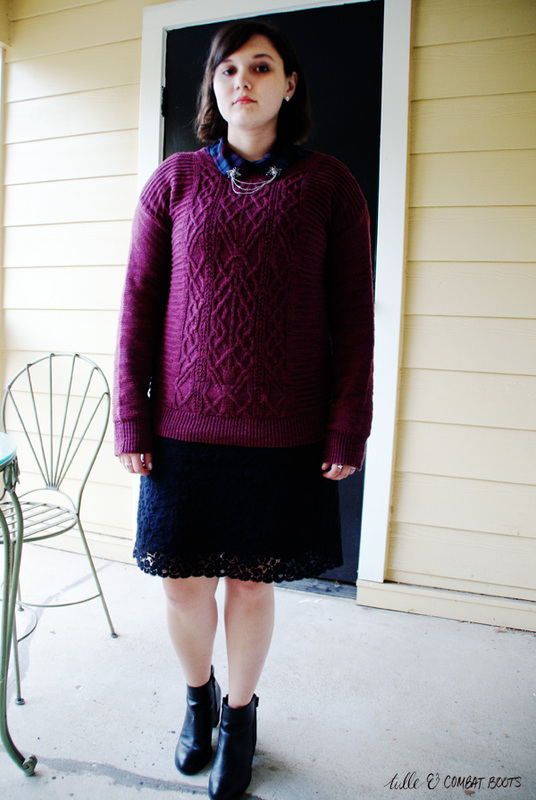 This sweater I impulse purchased from Target a week or two ago is serving me well. 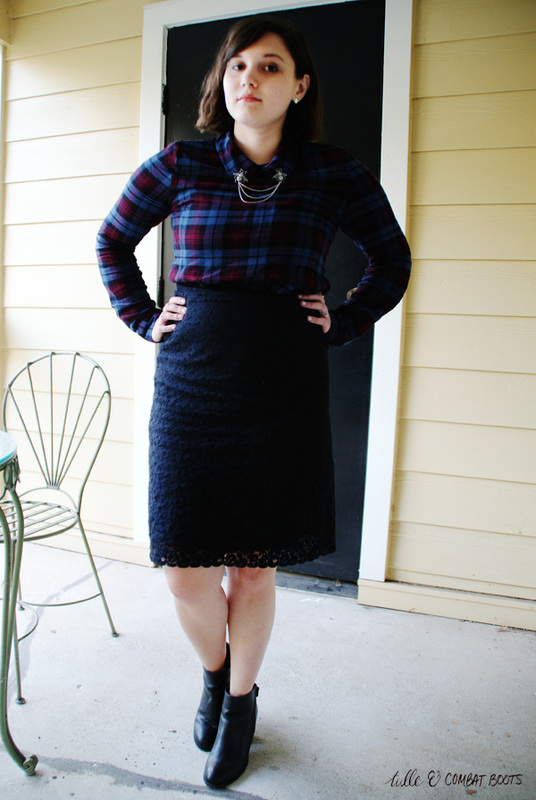 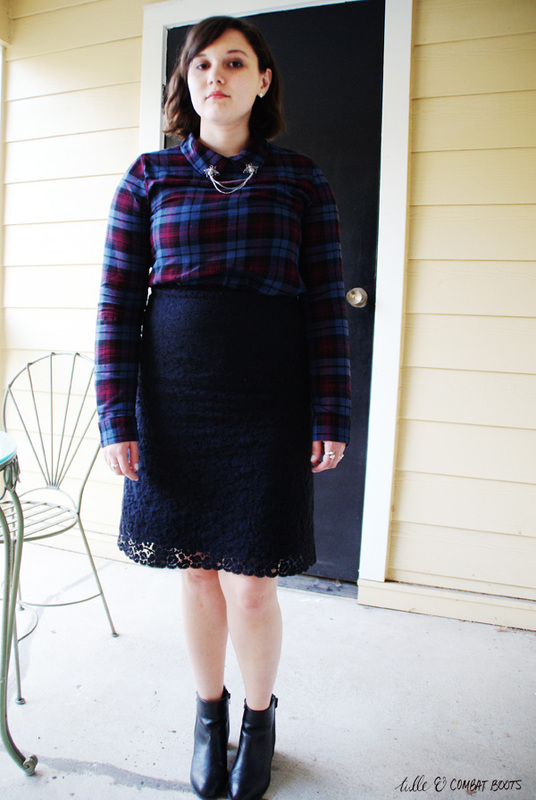 Sweaters & plaid are basic fall outfit staples but I figured I'd thrown in some black lace too. 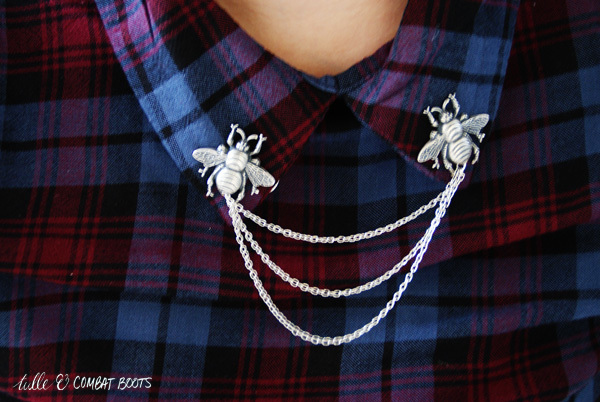 And I loooove these bee pins—I want to wear them with every collared shirt.